How to Keep Shoe Soles CleanShoes go everywhere so the soles can become dirty very quickly. 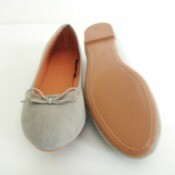 Clean soles will track in less dirt and will help the shoe look presentable longer. This is a guide about how to keep shoe soles clean. The Old Family Bible EssaysMany families have a big leather-bound Bible that has been passed down through the generations. Births, deaths, weddings and other special events were often documented here. 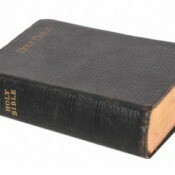 This guide contains essays about the old family Bible. Attaching the Arm on a Porcelain DollThis is a guide about attaching the arm on a porcelain doll. If you have a doll that has a tie-on style arm that has come off, here are some suggestions for reattaching it. 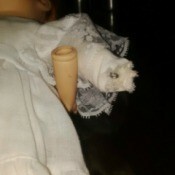 Remember that if the doll is valuable, you might want to consider having it fixed professionally. 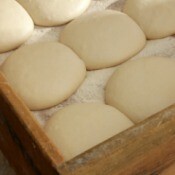 How to Let Dough Rise in Warm SunIf you are baking bread on a warm sunny day, use that heat to rise your dough. This is a guide about how to let dough rise in warm sun. 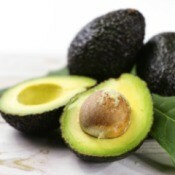 Avocado Fruit DressingThis is a guide about making avocado fruit dressing. This creamy dressing is easy to make and is a perfect way to enjoy an avocado. 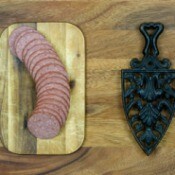 Summer Sausage CrispsThis guide is about making summer sausage crisps. These crispy slices of sausage can be flavored in numerous ways. They are perfect for serving with dip, as a chip alternative. 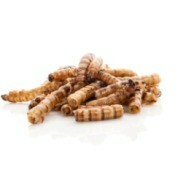 Keeping Worms out of Flour and OatmealThis is a guide about keeping worms out of flour and oatmeal. Briefly storing flour and oatmeal in the freezer can help kill any bugs or larvae that might be present. Then storing everything in well sealed containers is the best way to keep any new bugs out. Black Spots on Shower CaulkingBlack spots on shower caulking are caused by mold either on the surface or behind the caulk. 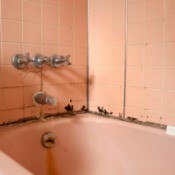 This is a guide about black spots on shower caulking. Clean Your Iron with a Dryer SheetTo clean a sticky or dirty iron, try running it over a dryer sheet and then onto a paper towel. Continue this process with your iron on high until the sole plate is clean. 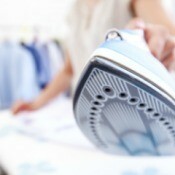 This is a guide about how to clean your iron with a dryer sheet. Cat Scratching a Wound With Its ConeSome cats are too smart for their own good. If you have one of these talented kitties that has discovered that the cone that is supposed to prevent scratching can in fact be used for just that purpose, read on. 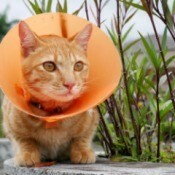 This is a guide about keeping a cat from scratching a wound with its cone. Cover Sliding Glass Doors to Keep Your Home CoolWindows and large sliding glass doors allow the heat from outside to warm up the interior of your home. You will be amazed that how much cooler it will be inside if you cover the glass. There are products made for this purpose or you can improvise and use black plastic trash bags. 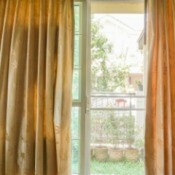 This is a guide about cover sliding doors to keep your home cool. Older Cat Attacks New KittenIntroducing a new kitten to your older resident cat can be a bit of a challenge. It typically takes some time, patience, and planning on your part for them to get used to each other. 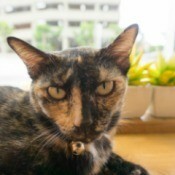 This is a guide about older cat attacks new kitten. Honeysuckle PhotosHoneysuckle can be either an arching shrub or a twining vine. This fragrant garden plant with its tubular flowers in shades of creamy white through yellow and reddish orange, has some medicinal properties and is also used in fragrances and lotions. 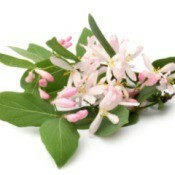 This page contains honeysuckle photos. Vegan Pesto RecipePesto is a tasty sauce for pasta. Make it vegan by substituting soy parmesan "cheese'' or nutritional yeast for the traditional parmesan cheese. 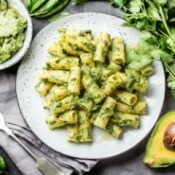 This page contains a vegan pesto recipe. How to Fix a White Heat Mark on Faux MarbleFaux marble is not as rugged as the real thing and heat damage is a common complaint. 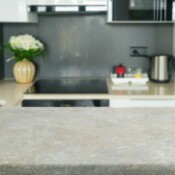 This guide contains advice on how to fix a white heat mark on faux marble. Removing White Flies from HibiscusTo rid your hibiscus plant of white flies spray with a mixture of 1 gallon warm water that has 1 cup sour milk and 1 Tbsp. flour added. Spray both sides of the leaves. 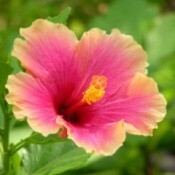 This is a guide about removing white flies from hibiscus. Bowling Birthday Party IdeasThis guide contains bowling birthday party ideas. A bowling party is a great way to celebrate a birthday for someone of any age. 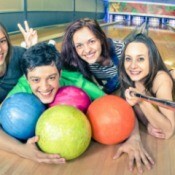 Here are some great tips and ideas for throwing a fun bowling party. 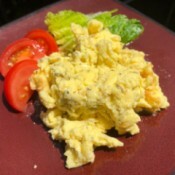 Herbed Greek Yogurt Scrambled EggsI love adding Greek yogurt to many of my foods for the additional probiotics and protein. Adding it to eggs is a great way to substitute any milk or cream you might generally have in it. The result is fluffy yet firm, good for you eggs! I used marjoram here, you can use any herb you like. 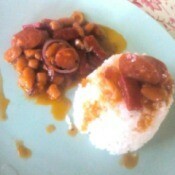 Pork & Beans UpgradeIn every kitchen, it's always a challenge for moms to make new things out of the old or common ones. You have to think of some things that are appealing to every family member especially the kids. So here's one recipe upgrade I personally made at home for both hubby and kiddo. Sea Bass with Lemon Caper SauceI got my inspiration for this dish from a spectacular fried branzino I had at popular Mediterranean restaurant in Los Angeles. Unfortunately, the price tag on that dish was too high to run back for again. 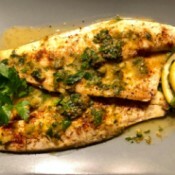 So I came up with my $2-per-person version as I had found some sea bass on a huge sale. Let me tell you, it was out of this world! I really hope you give this recipe a shot. Clean Sticky ScissorsMy scissors are sticky from everyday usage (especially cutting adhesive and stickers, etc). 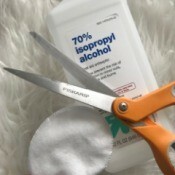 You can easily clean your scissors with a little bit of isopropyl alcohol on a cotton oval pad. Wipe the scissor blades down carefully. 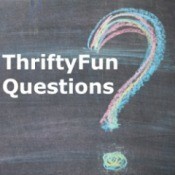 Saving Money on ElectricityI always try to save on electricity. I put items on power strips and unplug items I am not using. 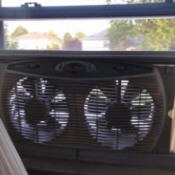 A few years ago I bought a twin window fan. I liked it so much I bought two more. I got them for $4-7 at yard sales. New Shelf from Decorated BoxesI recently began selling things on my local auction sites. It's fun and gets rid of the clutter. So I had these shelf units in my store room. I wanted one to go up just a bit so I used two decorated boxes as support. Plastic Lid on Food ScaleUse a plastic lid on your scale when measuring food to help keep food particles and juices from running into the mechanical device. 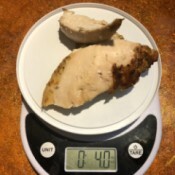 Not only is clean-up much simpler, the offset of food and container weight from taring the scale to zero is much lower; far better than using a heavy plate. Making Squashed Spuds in a BaggieI love canned spuds. As a diabetic, I can have two servings from each one. If you love steamed spuds and keep the real ones, this works great too. 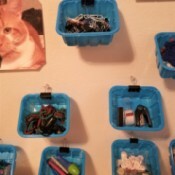 Egg Carton as an OrganizerIf you have a clear egg carton - you can use it as an organizer for your crafts. 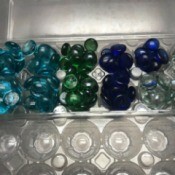 For me, I have my accent gems organized in here (even by color). I wrapped a rubber band around the egg carton, just in case someone else picks it up and doesn't realize it's a bit heavy. Confetti Birthday Number Cake TopperThis is a cute handmade touch to add to a cake, cupcake, donut, or even a bagel or burger as a topper. Mushroom Tubs for Organizing Craft SuppliesI love mushrooms. But almost the best things about them are how versatile their containers are. 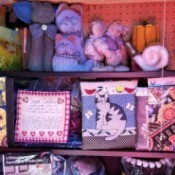 Durable and cute, they make a chaotic kitchen, office, or craft room much better. Theories for a Frugal LifeLiving within my means has been ingrained in me my whole life, as is living a green life, meaning being nice to Mother Nature. I find when I share my theories with people, there are two schools of reactions. One is the person looking at me like I have three heads and webbed feet. This is sadly the usual reaction. 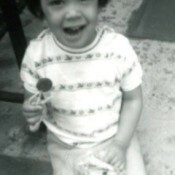 The other rare reaction is a look of pure relief that there is a kindred soul out there. Refrigerator Ice Maker Not Making IceI changed the filter on my side by side Whirlpool refrigerator and water come out the door, but now it is not making ice. Value of a Western Auto Wizard Push MowerWhat is value of my 1959 Western Auto Wizard push mower with Clinton engine? It is an 18" cut and pull rope start, in excellent original condition. 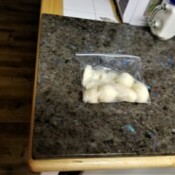 Why Do My Eggs Freeze?This is another of my 'It's really not that important, but it would be interesting to know' questions. I like to keep my refrigerator set as low as possible without anything freezing. While adjusting the temperature for that setting, my eggs always freeze. I don't understand. Odor In Basement After Defrosting A FreezerTwo weeks ago we defrosted our freezer. Right after that we noticed a strange odor from the hallway in the basement where it is located. We thought it might be sewer gas and had a plumber come in, but he found nothing. What Is This Houseplant?I have been given this plant, but have no idea what it is. Is anyone able to help me out? 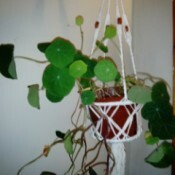 When I was given it the soil was very damp and some leaves had yellowed. I have cut away the yellow leaves, but more have appeared. Solution for Waxing SideburnsSo I stupidly waxed my side burns because they looked ugly to me and I'm scared that it looks bad now as it is growing back. Will the hair be thicker? It feels hairier; is there a reason why? Invisible Bugs Biting Me at NightWe moved into a new place in Santa Barbara California. Within days I began getting badly bitten by something invisible at night and I never feel the bites just the itchy huge mounds on my skin. 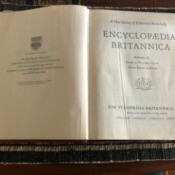 Value of 1961 Encyclopaedia BritannicaHow much is it worth? It's in good condition. Locating the Source of an Odor in My HomeAs I get halfway up my staircase I notice an odor. To the left is the master bedroom and to the right is a linen closet and bathroom. About three weeks ago which is around the time I noticed it, my neighbor text me while I was at work and said there were about 10 turkey buzzards on my roof. Making Spaghetti for 300How many kilos of spaghetti would you need to make for 300 persons? 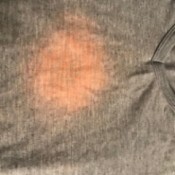 Finding the Cause of Pinkish Orange Stains on LaundryWhat is causing these pinkish orange spots? The clothes did not have them before they went into the washer and dryer. I don't use bleach or fabric softener. It happens randomly every once in a while and ruins my clothes. This shirt was only worn once and is now garbage.